Despite what diets like Atkins and Paleo may lead you to believe, some carbohydrates — the complex, unprocessed, whole grain kind — are not just compatible with a healthy diet but associated with a range of health benefits. Yet most Americans aren't eating enough whole grain carbohydrates and dietary fiber, according to a new study. The U.S. Department of Health and Human Services recommends a minimum of three ounces of whole grains and between 21 and 38 grams of fiber per day for adults. People should aim to replace refined carbs with whole grain breads, cereals, and oatmeal whenever possible, said Reicks. "Some products indicate the whole grain content in grams on the label, which is very useful if you know how much whole grain is needed to count as a serving. And some use the whole grain stamp (The Whole Grains Council), but not all." The study was funded by General Mills, which uses the whole grain stamp on a lot of its cereals and breakfast products. But just because something bears a whole grain stamp doesn't mean it's all or even mostly whole grain. 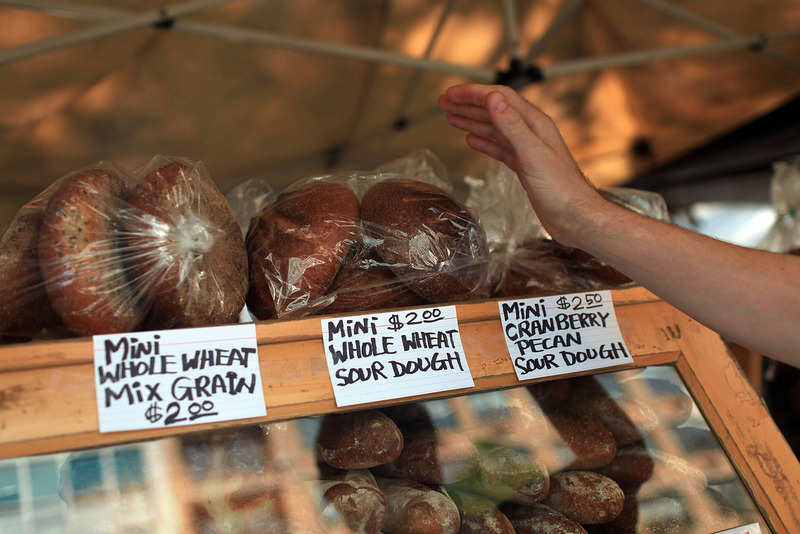 Neither do the labels multigrain, "made with whole grains," or simply "whole grain." Multigrain merely means made with more than one type of grain, which could mean a little whole grain and a lot of refined carbs, or even just multiple types of refined grains. "Made with whole grain" tells you some part of the product is whole grain, but not how much. To really tell if a product is totally whole grain, look for those that say "100% whole grain" or "100% whole wheat." Or check the Ingredients label — the presence of any enriched flour means the presence of some refined grains. If enriched flour is listed before whole wheat or whole grain flour, it means the product contains more refined than whole grain carbohydrates. For a guide to types of whole grains, check out this page from the Whole Grains Council.